Android devices have a lot of catching up to do when it comes to quality audio recording. For the better part of two years, hardware and app designers have been coming up with elegant solutions for passable voice recordings on iOS devices (iPhone, iPad). I’ve written about many of them here, including the Alesis iODock, the Tascam iM2X, and the Rode iXY, and the iAudioInterface2 for iOS from StudioSixDigital to name a few. So far, Android OS devices have only one app that even comes close, but some might say it even surpasses the iOS offerings. The USB Audio Recorder PRO — developed by Davy Wentzler — is a gem. Match it with the Audio Evolution Mobile editor (also by Wentzler), and you have what audio engineer/producer/director Cliff Zellman calls: “…ProTools on your tablet…”. That’s a bold statement, but Cliff is no slouch, and he should know about this stuff…his wife works for Samsung. 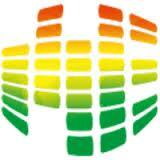 See my blog about these two apps, along with my Davy Wentzler interview here. 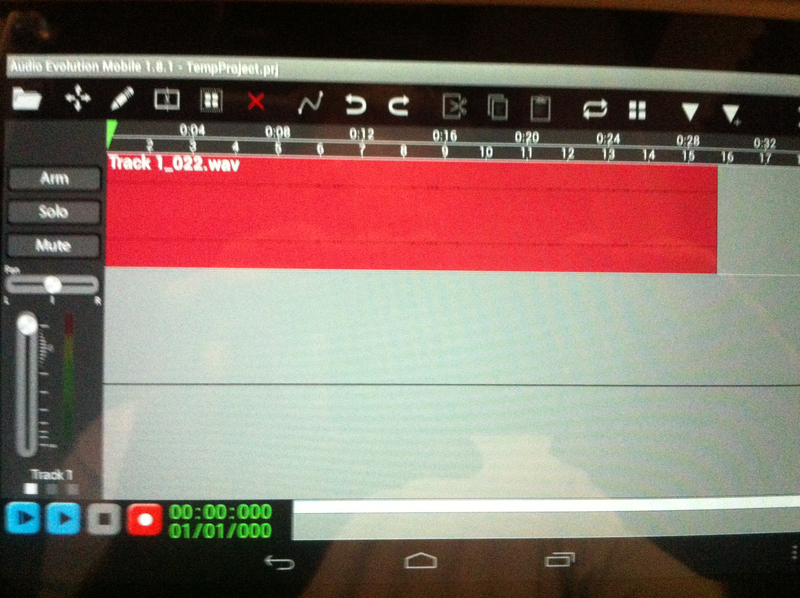 I’m well overdue in posting simultaneous audiofile recordings using the Android tablet v. my own studio DAW set-up. But I’m going to make up for that today. First, a word of thanks to Don Brookshire who presented on this app/device combo at FaffCamp… who introduced me to Davy Wentzler… and who helped me overcome my own roadblocks in getting the Android recording to work. The final solution?…an OTG cable. Simple and inexpensive. In the comparison below, I’m recording onto a Google Nexus 7 tablet, using a Blue Spark Digital Microphone through my OTG cable recorded onto Audio Evolution Mobile. My other mic is a Sennheiser MKH416 through a Grace m101 pre-amp, into a Steinberg Mi2 USB interface, routed to Adobe Audition CC on my Win7 machine. simultaneously for the same spoken words. In both cases, specs were 44,100, 16-bit, mono, .wav. SoundCloud wasn’t cooperating last night, so I embedded the sound files below using AudioBoo, and I’m not sure what kind of processing they do. But Audio Evolution Mobile records a .wav file natively, so I left it at that…same with the Adobe Audition CC. I uploaded the file from my Nexus7 to SkyDrive, and opened in CC…boosting the gain a little from the original recording to match the levels of the AA CC recording. I used NO processing, no effects, no gates, no filters, no nothing on either of the files. I did edit out a couple of breath sounds. First, here’s the Blue Spark Digital as recorded on the Nexus 7. 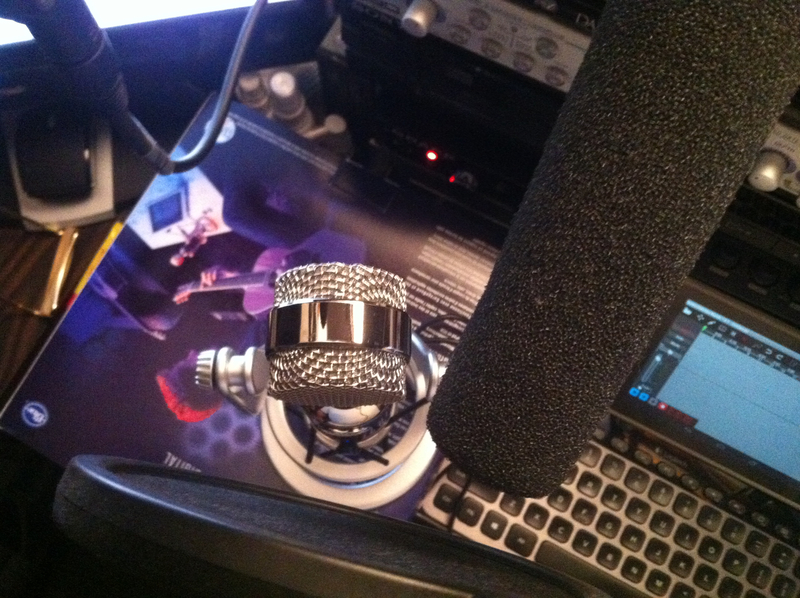 Now, here’s the Senny416 as recorded on my home studio DAW.